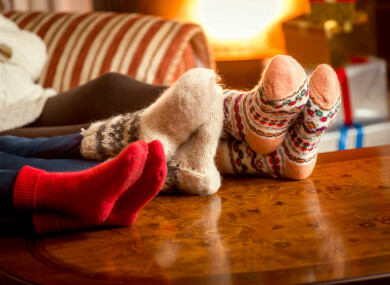 File photo of people with cosy socks sitting on a couch. CHRISTMAS ISN’T JUST about presents but it’s a nice way for people to show they care. Sometimes we get amazing, thoughtful gifts (regardless of the price tag), and sometimes they don’t quite make the grade. We want to know, what are the best and worst Christmas presents you’ve ever received (or given)? I got a trip to Disneyland and, as a 10-year-old child, that’s the best thing anyone could ask for. My brother got my mam a set of knives for Christmas one year. She made him get her another gift, and he has never/nor will he ever live it down. The best was a see-through purple Gameboy Colour with Super Mario Land: 6 Golden Coins – I spent hours playing it that Christmas, SUCH a good game! And worst, last year I was given a weird beanie baby cat (when I was 26) … I think it’s still on a shelf in our sitting room. My dad tried to regift me a pair of kitten heels (with an actual cat on the side) that he had bought for my stepmam. They had split up between the time he bought them and Christmas, and he presented he thought I would like them. Now it’s your turn. Let us know in the comments. Email “Open thread: What are the best and worst Christmas presents you've ever received? ”. Feedback on “Open thread: What are the best and worst Christmas presents you've ever received? ”.